Gantt Chart is one of the possible ways of data visualization. Since these charts allow visualizing the workflow in the intuitive way they are widely used in project management software. In this article, I want to cover the process of creation of an online Gantt chart application. There are only two components I’ll use: MeteorJS and dhtmlxGantt. Let’s take a closer look at them. 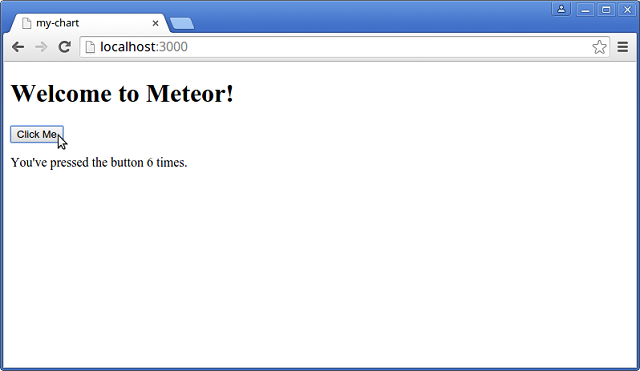 First of all, we need to install MeteorJS and create the simple Meteor application. If you use Windows, you should get the installer. Visit this installation guide for the details. It’s a little web page with the button that counts the number of clicks. Well, it seems that everything works. Let’s proceed with dhtmlxGantt. Alright, all the required packages are downloaded, and we can continue creating the chart. This code will create the DIV container. We’ll soon place the chart within it. MeteorJS uses the MongoDB database. You should use so-called Collections to store the data. Collections can be accessed both from the server and the client. Moreover, they update themselves automatically which means that all changes will be rendered on the screen immediately. We should create two Collections. 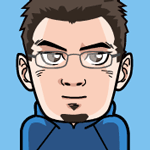 The first one will contain the data that describes the existing tasks. The second one holds the information about the links between the tasks. The next step is to initialize the chart and use the data adapter. We want to run our chart code on the client side. We’ll use if (Meteor.isClient) statement for that purpose. To run the code we need, we can use this code: Meteor.startup(func). 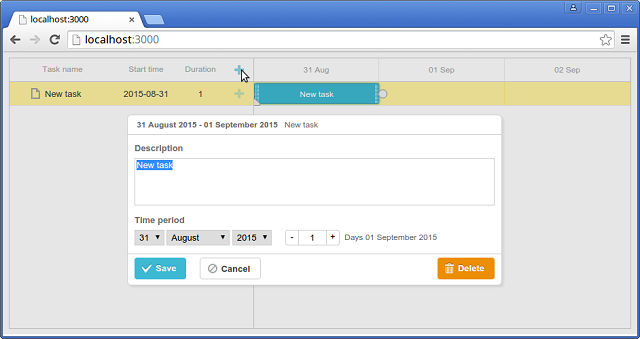 You can create as many tasks as you want, define the links between them, drag them through the calendar grid to change the start time and resize them to change the duration. The best part about it is that you can close the browser shut down the server, and after you run it again you’ll see that all your tasks are in the right places. Well, here’s the deal. You can change this code and after you save the changes there will be no need to refresh the page or do some other extra job. Application appearance will change automatically. Here you can see the values of the task properties, e.g. its ID, start date, duration, etc. 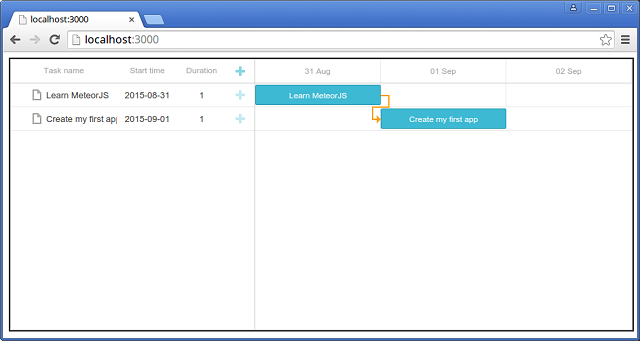 MeteorJS allows you create an online application in a few easy steps. You can compare the example from this article with this Getting Started Guide that requires much more time to build a basic chart. One of the best parts of MeteorJS is the possibility to see the changes in real-time. And there’s no need to do some hard work to make this feature work. Meteor was initially designed to work like that. 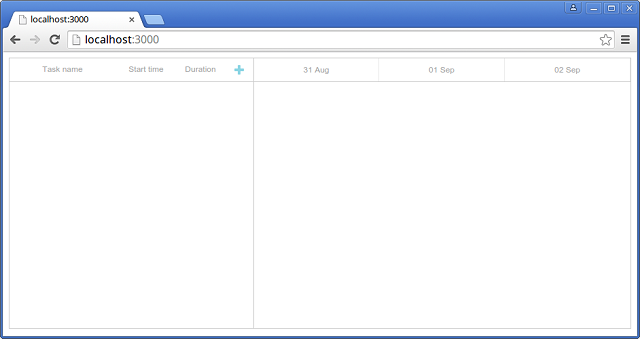 But after clicking SAVE, the UI doesnt seem to add any tasks, and whether it is SAVED in the backend I am not sure? Any advise? 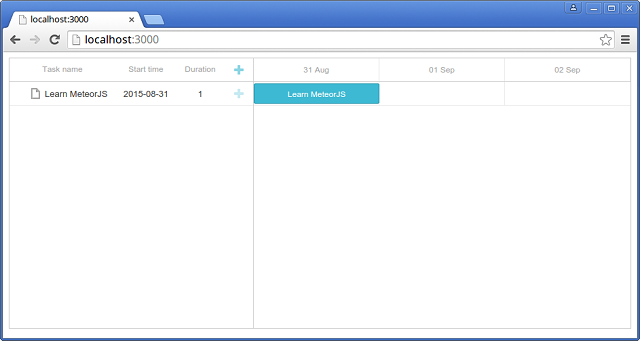 MeteorJS is also a framework and AngularJS too.